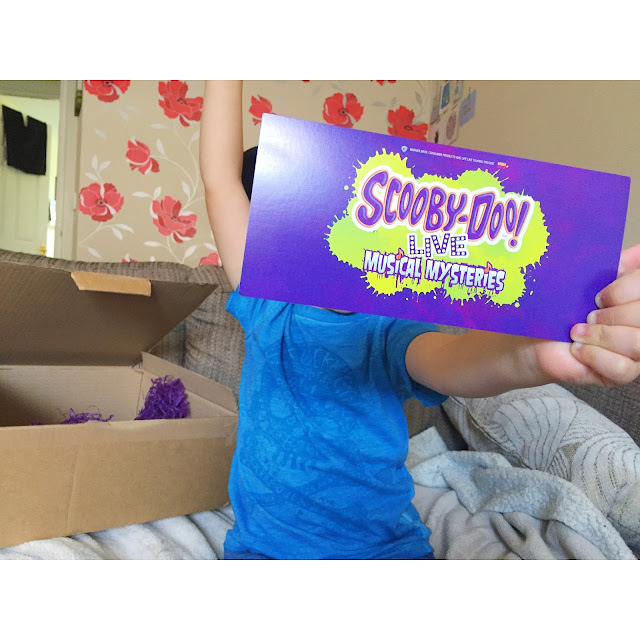 There's not many TV shows that can unite generations, but Scooby Doo seems to be one that has stood the test of time and is still loved and adored to this day. In our house, it's a show that we can watch time and time again without getting bored. 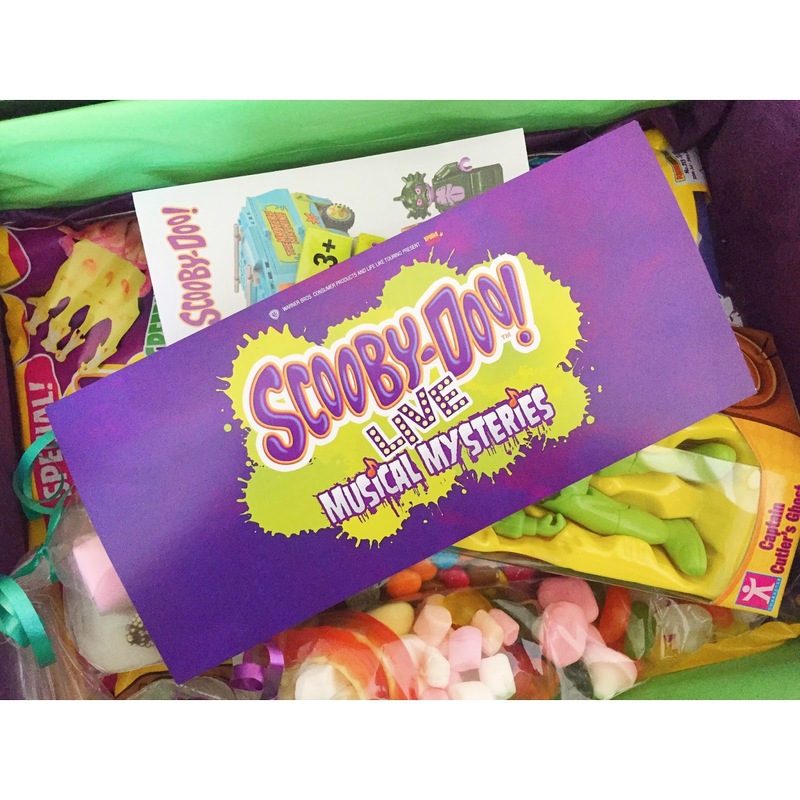 So when a Scooby parcel arrived on our doorstep I couldn't wait to have Max open it! Inside was our very own golden ticket. Move over Charlie Bucket as Scooby is in town and ready to rock London. It was an invite to watch Scooby Doo! Live, a musical mystery at the London Palladium. There were also some scrummy snacks and a magazine to keep us occupied on the train journey up to London. I'm always nervous about taking Max up to London on the train on my own but he was an absolute rock star and was buzzing with excitement as he waited patiently outside the theatre. We are massive theatre addicts so couldn't wait to get inside and find our seats. 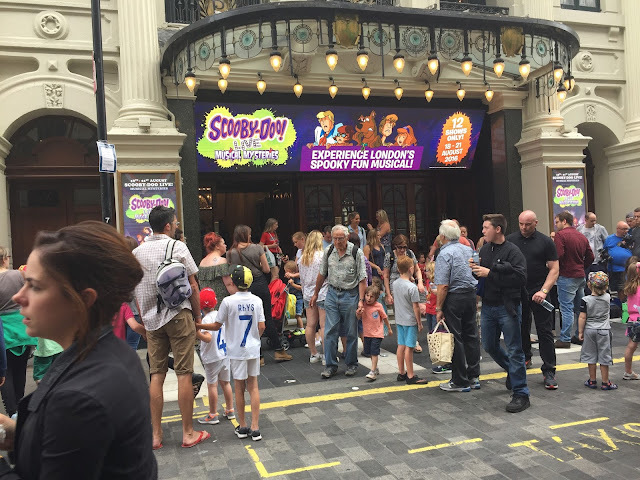 There was such a fantastic atmosphere outside the theatre as you could tell the the adults were just as excited as the kids to see Scooby and the gang take to the stage and wow us with whatever mystery they had in store. 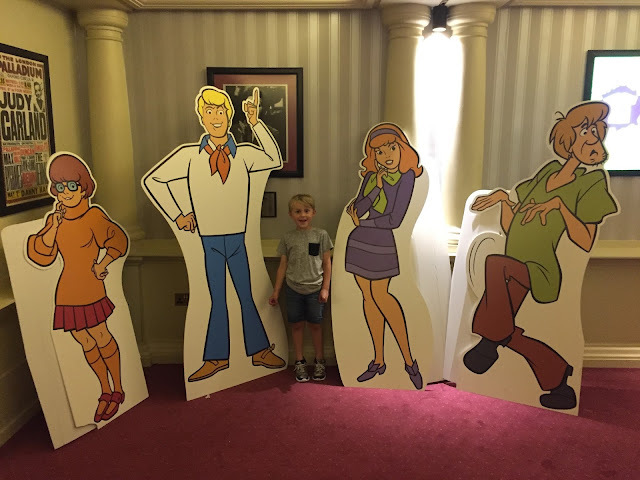 We've seen Scooby Doo on stage at Butlins before but this felt even more magical as we took our seats in the Palladium. The show is based around a haunting in a London theatre where Mystery inc must work together to save the day as always. I won't spoil it for you too much as that would ruin the Scooby magic, but there was plenty of opportunity for audience participation! I think Max must have been shouting "GHOST" louder than anyone sat near us. It's also full of fantastic songs and enough belly laughs that you won't want it to end. The cast were spot on with their accents and characteristics of the characters. We loved the chemistry between Fred and Daphne, well the wishful chemistry! And the rest of the cast were superb at playing the supporting characters and baddies. 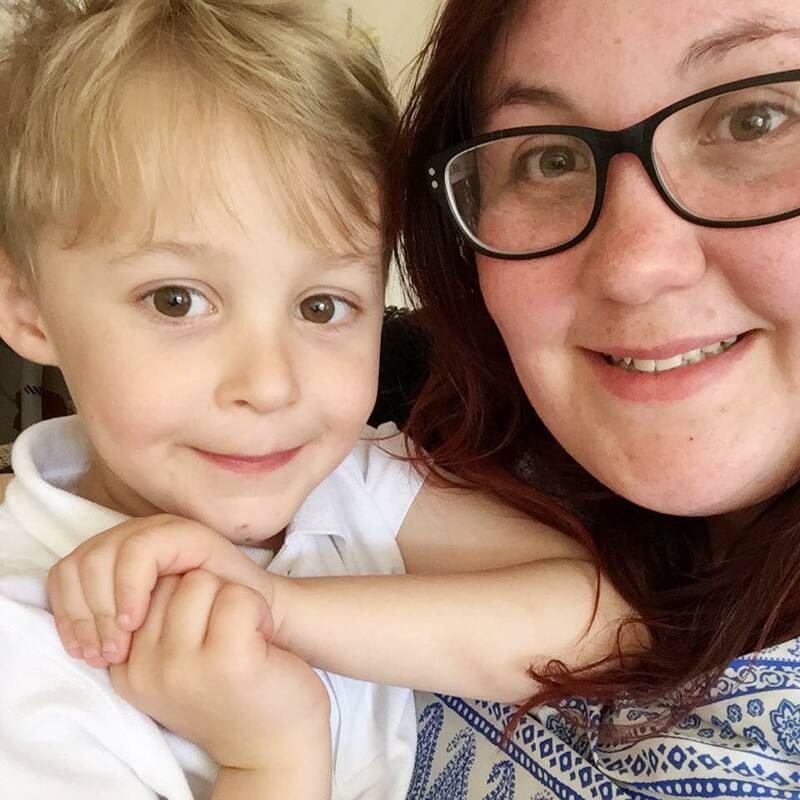 It was the perfect length for Max as he was hooked from beginning to end and hasn't stopped talking about it since! After the show Max was lucky enough to be invited on stage to take part in a song and dance with some of the characters. This was such a special moment as Max is desperate to be on stage himself one day! He was in awe of it all and loved learning the dance moves with some of his favourite members of the gang. 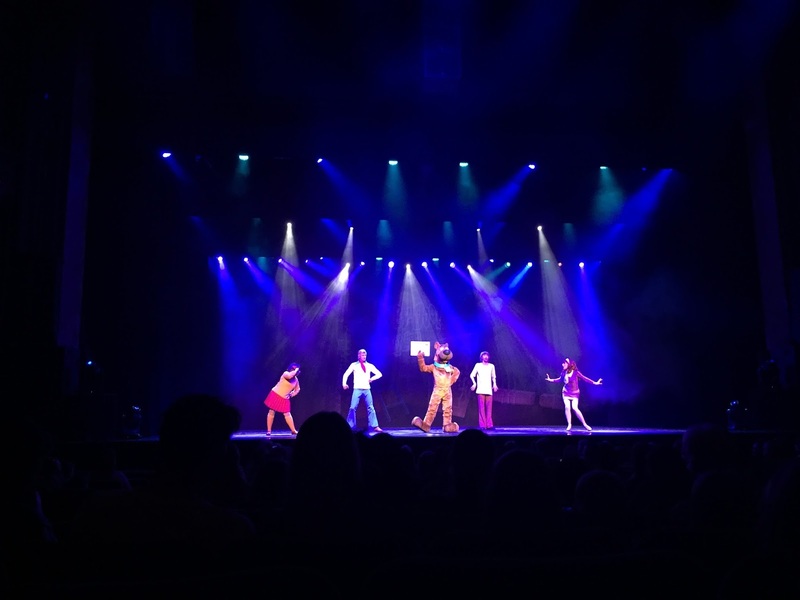 Scooby Doo Live was one of the best family friendly shows we had seen in a long time. It kept both of us engaged and laughing and we spoke about it non stop on the way home. It's only on at the Palladium for a short time, but with 3 shows a day there is plenty of opportunity to join the gang for this Musical Mystery. Haha Matilda is still too young for this but have to say I love Scooby Doo! Haha tempted to borrow older children to take with me! Great review!